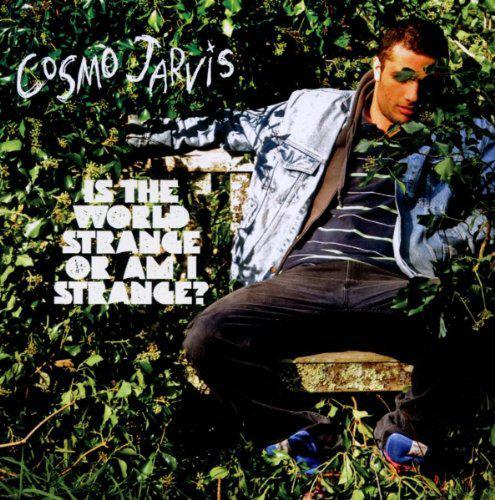 Cosmo Jarvis has come a long way since 2008 when he started out. Since then he has performed in shows alongside the likes of Gym Class Heroes, Panic! at the Disco and Reverend & the Makers. With his second album Is The World Strange or Am I Strange he definitely brings something different. The whole album is packed with catchy and original songs which showcase his multi-faceted voice along with an array of different musical stylings. The young singer, who has a Mumford vibe about his voice, has made an album here with a generally fun feel which seems light and enjoyable and is definitely something you could find yourself dancing and singing along to in the sun. His voice is what makes this album different; while he does have the alternative pop/rock indie feel on several songs, he also brings a spoken word element to a number of the album tracks and even seems to channel something influenced by folk, which all works together brilliantly to make the album both enjoyable and non-repetitive. All of the tracks are great in their own way, but songs such as 'Gay Pirates', which tells the tale of two pirates in love, 'Dave's House', which a lot of young people out there will be able to relate to, and 'Blame It on Me', which introduces a cheery folk style vibe are definitely the stand-out tracks on the album. There's nothing wrong with other ones but these just seem to be the ones that get stuck in your head, and keep you singing along. Some of the songs are a bit long in places but you can forgive him for this as the versatility in the music and voice on all the tracks gives you something fresh to listen to, which is really nice to hear after so many copycat singers hitting the shelves in recent years. All in all, this album is a really fun listen, and I expect we will be hearing a lot more from him in the future.